Dijon mustard has a strong international reputation. It is made as before to the grindstone by Fallot from brown mustard seeds and vinegar. 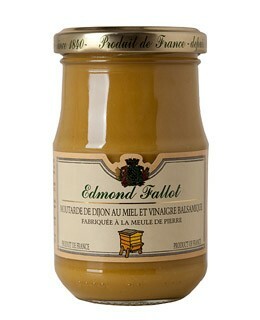 It is married here with honey which gives it its softness and balsamic vinegar that enhances its acidity. 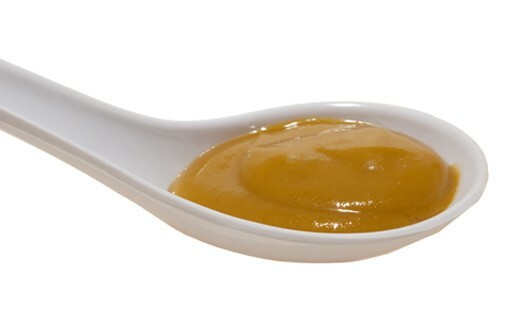 This mustard will please lovers of sweet and sour mix. The ideal accompaniment to white meat and fish. water, mustard seeds, sugar, alcohol vinegar, honey (7,5%), salt, balsamic vinegar (3.2%), E224, citric acid, spices.